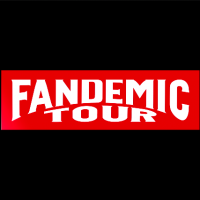 Fandemic Tour celebrates not only celebrity access for fans but the opportunity to speak one-on-one with fans’ favorite artists and creators. Fandemic Tour will feature a deep lineup of celebrities including: WWE®’s The Bella Twins™, Nikki and Brie Bella (Stars of WWE and E!’s Total Divas), Michael Rooker (Guardians of the Galaxy, The Walking Dead, Tombstone, Cliffhanger, Days of Thunder), Chandler Riggs (The Walking Dead), Tom Welling (Smallville, Lucifer), Steven Yeun (The Walking Dead), Bruce Campbell (Ash vs. Evil Dead), Robert England (Nightmare on Elm Street), Sean Gunn (Guardians of the Galaxy, Gilmore Girls), Chris Sullivan (This is Us, Guardians of the Galaxy), Jason David Frank (Mighty Morphin Power Rangers), Scott Wilson (The Walking Dead), John Schneider (Smallville, The Dukes of Hazzard), Christian Kane (The Librarians, Leverage), Sean Patrick Flanery (The Boondock Saints, Powder, Young Indiana Jones), Robert Englund (A Nightmare on Elm Street, Freddy vs. Jason), James Marsters (Buffy the Vampire Slayer, Angel), Clare Kramer (Buffy the Vampire Slayer, Bring it On), Charisma Carpenter (Buffy the Vampire Slayer, Angel), Holly Marie Combs (Charmed, Pretty Little Liars), Norman Reedus (The Walking Dead, The Boondock Saints), Jeffrey Dean Morgan (The Walking Dead, Magic City), and David Della Rocca (Boondock Saints). Fandemic Tour Sacramento will highlight guest artists such as Neal Adams (Batman, X-Men), Phil Ortiz (The Simpsons and Muppet Babies), Michael Golden (Marvel and DC Studios), and Arthur Suydam (Deadpool, The Walking Dead). Other notable artists including: Renee Witterstaetter (Superman, Silver Surfer), Joel Adams (King of the Hill, Hulk), Jerry G. Angelo (Director), Mike DeCarlo (Batman, Fantastic Four, Pinky and the Brain), John Beatty (Captain America, The Punisher), Rodney Ramos (X-MEN, CONAN, The Punisher), Justin Orr (Star Wars, Super Mario Bros), Ric Meyers (Kung Fu film historian and author), Clinton Hobart (Disney Fine Artist), Buzz (Justice League), Rags Morales (Batman Confidential, Wonder Woman) and Jim Salicrup (Spiderman, Women of Marvel). General Admission: Friday $35 Saturday $45 Sunday $40 Weekend $75 VIP $150 For photo ops, click here.